Is it an essential requisite that anyone who dare elect themselves as a professional critic must be in possession of an unhealthy level of self-righteousness? Is this the grease for the wheel? Is it this rampaging egocentric component that forms the lifeblood of judgemental conviction? And, in the modern world of social media, is there a place for the film critic? 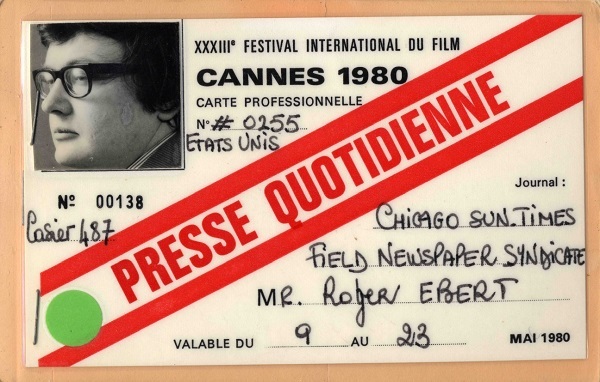 Life Itself traces Roger Ebert’s life; the Illinois upstart who became the closest film criticism has ever had to a household name and, arguably, the preeminent American movie critic of all time. His rapid rise to fame came at a point when print was the prince and the television was the king, and he roamed both with a towering omnipresence that made him synonymous with film comment up until his untimely death in 2013. 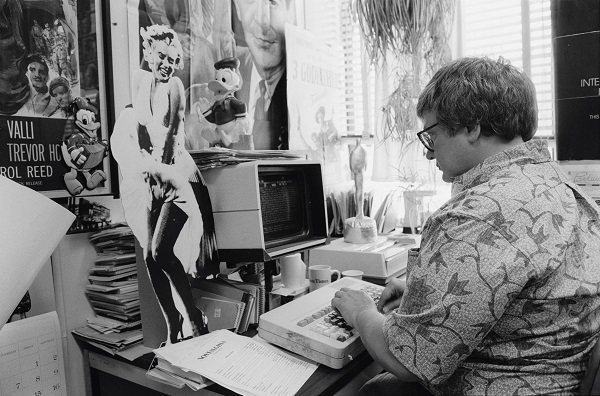 Steve James, the director of such luminous and talismanic documentaries as Hoop Dreams (1994) and The Interrupters (2011), casts his eye over Ebert’s life and times. Beginning with archive footage of Roger expounding his ethos on life and film at the Roger Ebert Star Dedication in 2005, Life Itself is quick to recognise the sad coincidence of filming the documentary and the rapid deterioration of Ebert’s health in late 2012. James explains the unexpected change of direction after the opening credits roll. From there, he opts to dip in and out of the present whilst proceeding to compliment the pages of Ebert’s memoir. We hear testimony of how a wet-behind-the-ears and eager Ebert cut his prodigious teeth with a disarming combination of balls and brains; no better showcased than when he passed into local newspaper lore during his editorship of the Daily Illini for famously stopping the presses with a Kane-esque sense of command to prevent an ill-judged advert clash on the day JFK was assassinated. From there, his reputation and impact grew from position to position with a voracity that was equal to his appetite for alcohol consumption. 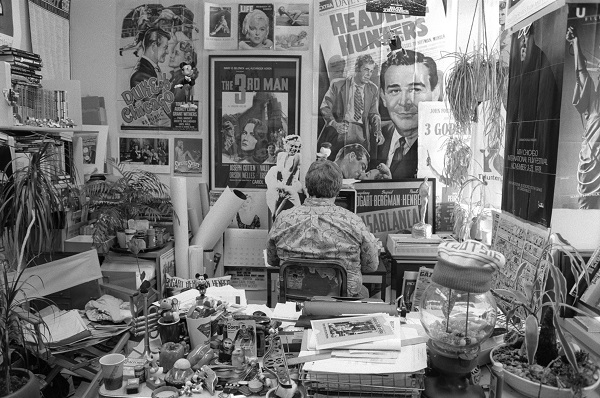 It is here that the dichotomy of success and personal pain is rendered with a blunt lack of glamour, through archival photos, talking heads and Ebert’s own words from his memoir. His rocky relationship with fellow critic Gene Siskel feels like a concocted storyline but is all true. What a passionately incongruent, curmudgeonly ill-spirited team they were; the true life Statler and Waldorf. And yet, it is they who bore televisual fruit in spite of appearance, jostling egos, caustic exchanges and a relentless, bitter dislike for one another. Like a good fictional story, the fact that familiarity resulted in not only begrudging admiration, but affection, is a lovely twist in the tale. Similarly, the loyalty and support of his wife and keeper of the flame, Chaz Ebert, emerges as a romance superior to the construct of any Hollywood hack. Her steadfast commitment is made abundantly clear. It is heartfelt and earnest; genuine and real. There is no doubting the power added to Life Itself by witnessing an admirably self-effacing Ebert as he fights his health battle. What unintentionally emerges as a result of this footage is a great respect for Ebert the man in addition to any respect for his professional talents. To posit; is there a greater measure of a man than in how he confronts his own demise? With a lack of vanity, the only person who teeters on the glib or facetious about the situation is Ebert himself. Oh, what a charmer he was until the end. You’d be right to wary of viewing the poster and seeing a welter of 4 and 5 star reviews for Life Itself. This, perhaps more than nearly any other, is a document playing to the choir. It is a self-reflexive vicarious validation of the form. It is the worship at the altar of one of their own. And yet, this is a documentary that transcends the industry it details. Like all affecting pieces of art, it speaks of an extraordinary life dealing with ordinary concerns. The universality of the battles with the highs and the lows of life are the ties that bind us, and bind us they do in Life Itself. This team-up of James and Ebert is visibly less tumultuous than that of Siskel and Ebert, but no less spellbinding. And whilst this work may have come as an unintended epitaph, it is one that underlines Ebert’s legacy without being a full stop. This is more of a comma and a continuation. His legacy has been enhanced. James has sculpted a gentle ode to a full life, showcasing the joie de vivre of a passionate spirit that continues to reverberate even after his sad, untimely passing. Life Itself is released onto DVD on 23rd February 2015. This entry was posted on 20/02/2015 by toomuchnoiseblog in Reviews and tagged Documentary, dogwoof, Film, gene siskel, Greg Wetherall, hoop dreams, life itself, movie, Release, Review, reviews, roger ebert, steve james, the interrupters.